They knew aesthetically what they wanted to create for the practice, classic British with a twist. They spent time looking at other clinical websites, finding inspiration through other clinician’s practices. The main aim was to take Harley Street and bring it to the home counties. They wanted to make the project as cost-effective as possible, while achieving a beautiful end result. Working with SPS Dental – this aim became a reality. 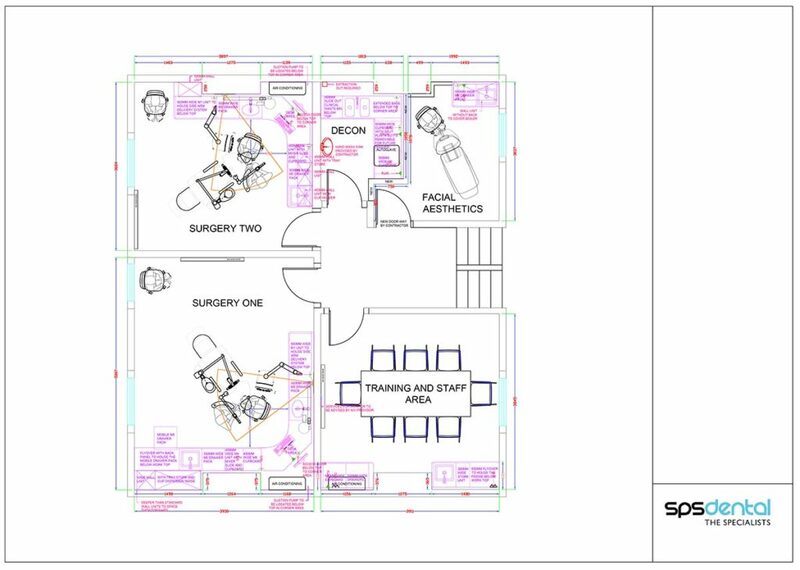 Once the consultation discussions were finalised our expert team draw on their knowledge to produce CAD drawings. 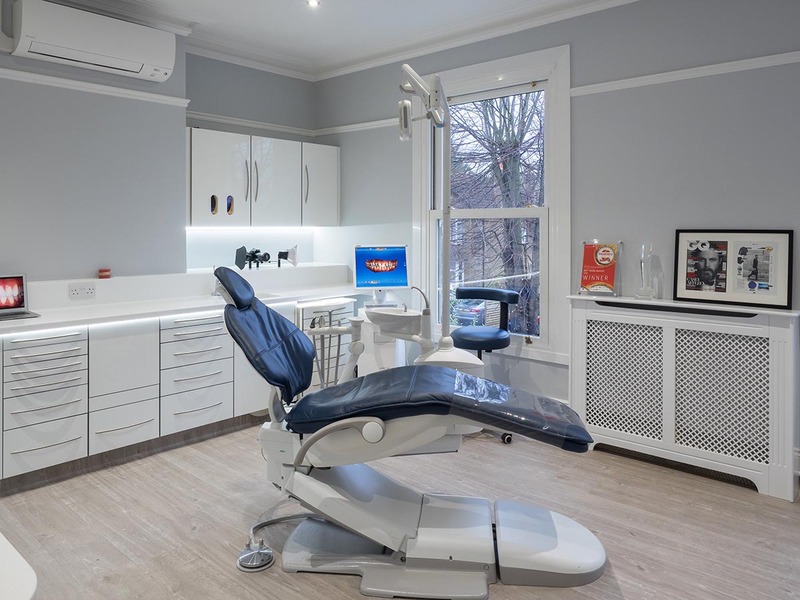 On this project, the way the practice ran was unique; downstairs was kept as a mixed family dental practice, but upstairs was to be used as a cosmetic dental and referral centre for speciality procedures. Our client wanted to create a unique patient journey that people would talk about. A space that was modern and social-media led. The aim was to create an interactive and educational experience for patients and the public, and as such, to break down barriers. The rooms were spacious, and the client wanted them as non-clinical as possible. They wanted to make them as homely as they could be, and SPS Dental helped them achieve this. 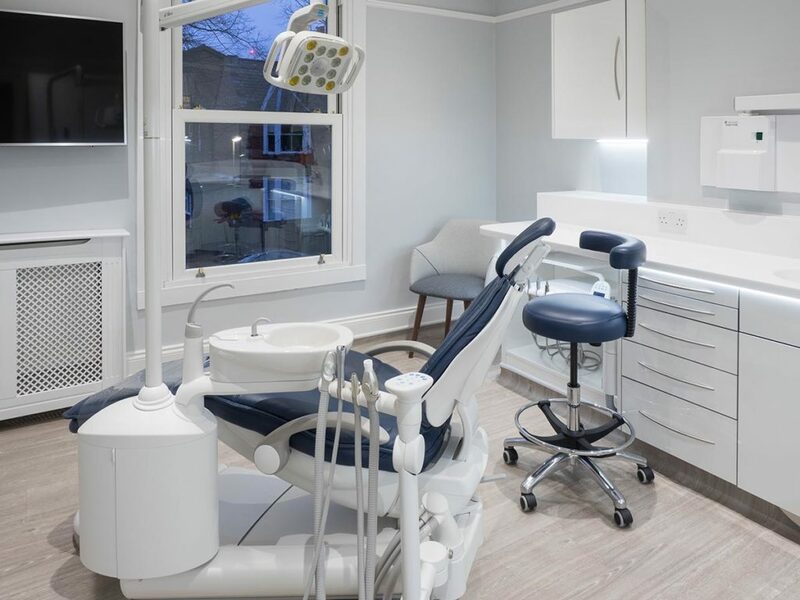 Our client chose the A-dec 500 side delivery chairs upstairs, the units have chair-mounted cuspidors and LED operating lights, which provide an excellent level of lighting. They also really help keep the clinical area looking very clean and clear, as the side-arm delivery systems are stored below the cabinetry, giving full access around the chair. This feature has also allowed for a mobile implant drawer pack for the surgery, which will be fantastic for implant sessions. The chairs also have intraoral cameras built into the delivery systems, and these link to the computers, meaning that both the clinician and patients will be able to see the images taken on the 4k monitors on the walls. There was no architect used on this project, so our team worked with all the contractors to produce a fantastic end result. Working in conjunction with Adec the client was given a full handover at the end of the project to ensure a smooth transition. The clean lines of the design were continued with the cabinetry. In white, with solid surface worktops, and the way it was fitted really makes for the best use of the space. We also used solid-surface Corian sinks, and LED lighting below the wall units and along the edge of the countertops. In all, this gave the client what they were looking for.